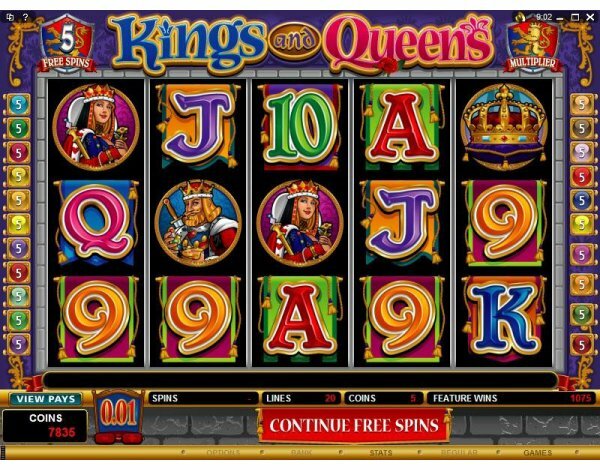 Overview: March 2009: Making a royal debut this week is the latest 5-reel, 20 pay-line multi-featured video slot KINGS AND QUEENS. 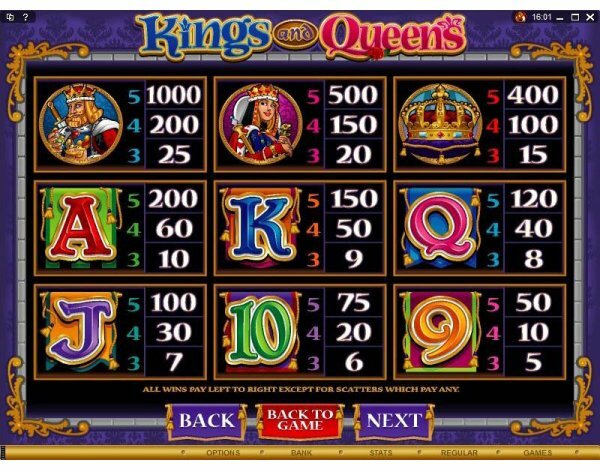 Royalty is the theme for this sumptuously illustrated game which offers dual-opportunity Wilds, Scatters delivering up to 10 Free Spins with as high as 8x Multipliers and a color-and-suit choice Gamble feature that can quadruple a player's wins up to a maximum of 10,000! 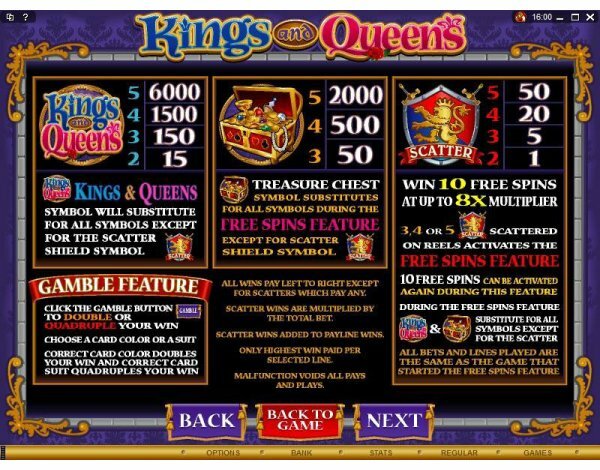 To get to the Free Spin action and the big money, players need to see 3, 4 or 5 Royal Shield symbols across the reels, opening up the Free Spins feature and bringing into play the additional Wild function of the Treasure Chest and Kings and Queens icons, which enable the player to build better combinations during the Free Spins. 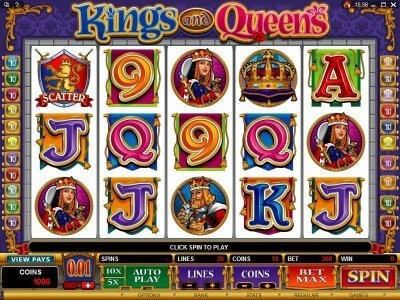 The Kings and Queens logo is the main Wild in this absorbing video slot, substituting for everything except the Scatter Shield to generate rewards throughout the game. Similar Slots: If you like Kings and Queens, you might like these other 5-reel slot machines: 5 Reel Drive, Cashville, Flight Zone, Mad Hatters, Tribal Treasure, Wooly World.